Andrew holds a B Eng (Chemical) and M Com (Financial Economics) and worked in production and project roles up to 2006, when his focus shifted to strategy, business development and valuation. 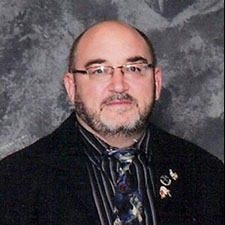 He has spent several years as technical advisor to government committees overseeing the negotiation of mining conventions and rail and mineral terminal concessions. He has experience in valuing metals and minerals assets, including iron ore, manganese, chrome, copper, coal, gold and the platinum group metals. 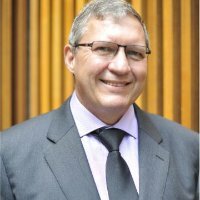 Andrew is on the council of the Southern African Institute of Mining and Metallurgy (SAIMM) and is a member of the Institute of Directors. 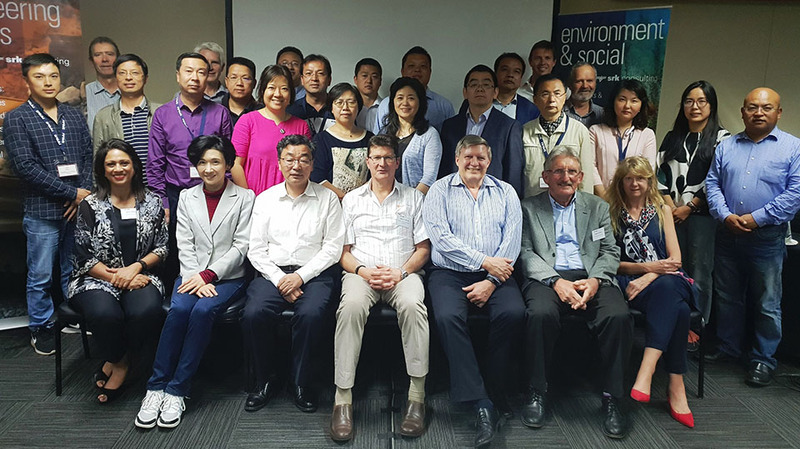 The SAMESG Committee drives the environmental, social and governance aspects of public reporting that is becoming increasingly more important in the minerals industry. Since 2014, the SAMESG Committee has been ably led by Mrs Sarah Magnus. During Q2/2018, the Chair has moved to Ms Teresa Steele-Schober. 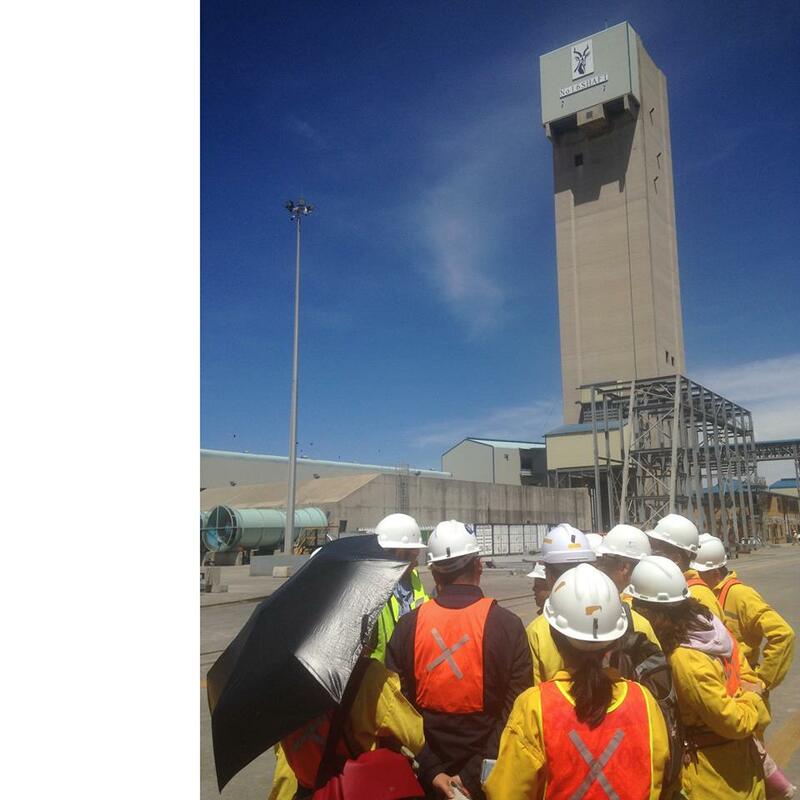 Teresa has worked extensively in the mining industry as an environmental and sustainability professional. She started her working life as a geologist in the gold mining sector, after which she moved into the environmental field. She has worked at various mine sites and corporate functions in a range of commodities including gold, base metals, heavy mineral sands and coal. Her experience includes on-site management of environmental and sustainability issues including design, implementation and management of ISO14001 compliant environmental management systems. Teresa has worked in corporate advisory and reporting roles. She has significant experience managing sustainability issues on large capital projects, including the completion of project feasibility studies; risk assessment and management; and permitting processes. 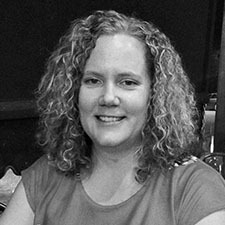 Teresa worked for a large multinational mining company before opening her boutique environmental and sustainability consultancy. The SAMCODES Standards Committee (SSC) develops, promotes and ensures compliance with the South African Mineral and Oil & Gas Reporting Codes. These Codes comprise the SAMREC, SAMVAL and SAMOG Codes, and associated Guidelines. Governance of the Codes is affected through membership of Professional Bodies, through Statutory Registration of Earth and Geological Scientists and Engineers, and through the Johannesburg Securities Exchange (the JSE) Reader’s Panel. 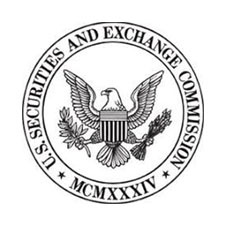 The Securities and Exchange Commission (Washington DC October 31, 2018) announced that it has voted to adopt amendments to modernize the property disclosure requirements for mining registrants, and related guidance, under the Securities Act of 1933 and the Securities Exchange Act of 1934. The amendments will provide investors with a more comprehensive understanding of a registrant’s mining properties, which should help them make more informed investment decisions. The amendments also will more closely align the Commission’s disclosure requirements and policies for mining properties with current industry and global regulatory practices and standards. 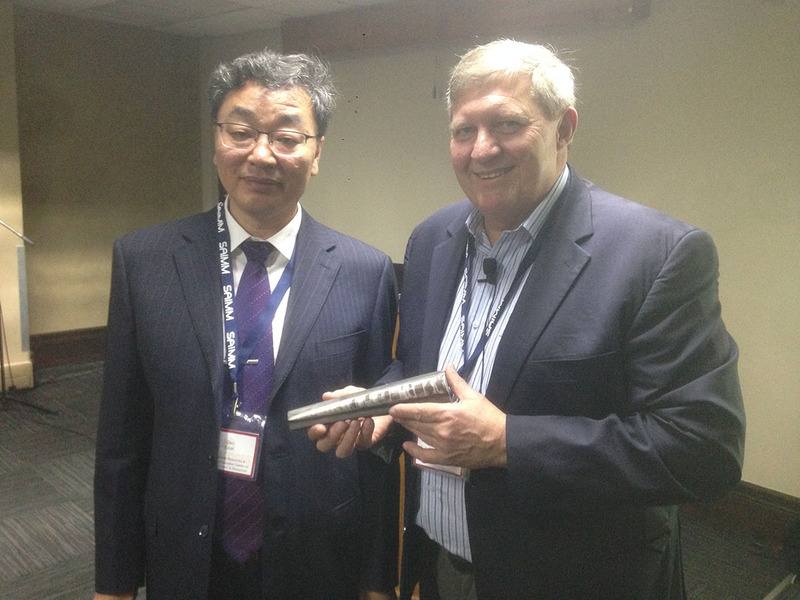 Monday 22nd October saw the MRREC Chinese Delegation visit Impala Platinum and it’s towering No. 16 Shaft in Rustenburg (apparently taller than the Statue of Liberty). 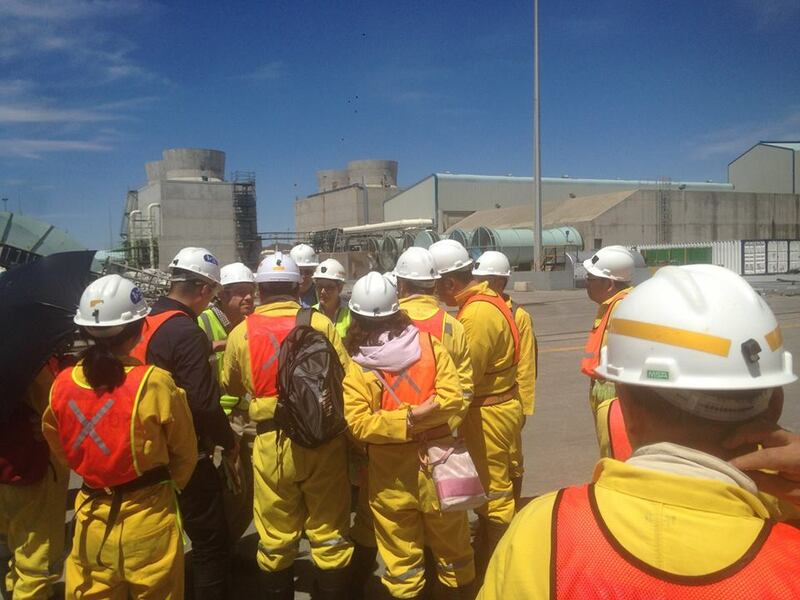 Outgoing Implats Lead Competent Person, Seef Vermaak, accompanied the delegation on the tour, which included a visit to the processing and smelting plants, as well as to the core yard where many a discussion was had on platinum mineralisation in the Merensky and UG2 reefs. On Friday 19th October the JSE hosted the MRREC delegation for a morning presentation on the JSE’s role within the SAMCODES, including the JSE Readers Panel and its Mandate. 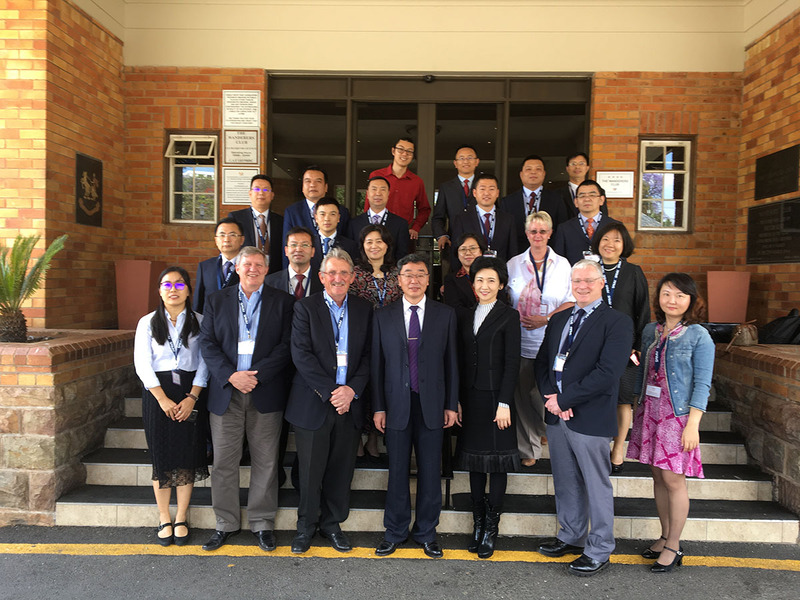 Senior members of the delegation had the opportunity of opening the market (on the podium, from right: Mr. Gao Limin - Deputy Director General, Ms. Pan Xinru - Division Chief, Mr. Zhang Huichang - Principle Section Member). This is a typo error – it should be “weighed” as used in clause 25 of the 2009 edition of SAMVAL Code. Valuators should be aware that the use of the words “weighed” and “weighted” did not intend for a subjective weighting factors to be applied to the individual value ranges determined by the Cash Flow, Market and Cost Approaches to arrive at a final weighted average value. The purpose of comparing (“weighing”) the results from the various Valuation approaches and methods is to provide corroborative evidence for the value ascribed to a mineral asset. In evaluating (“weighing”) the various results, the determination of the final value (the relative “weighting” of the different values) is dependent on the Competent Valuator’s experience and judgement. The Competent Valuator has to determine which of the valuation techniques used is the most appropriate for the asset being valued. The use of subjective weightings applied to two or more valuation approaches and aggregating such weighted values in arriving at a final value is therefore not considered compliant with the SAMVAL Code. 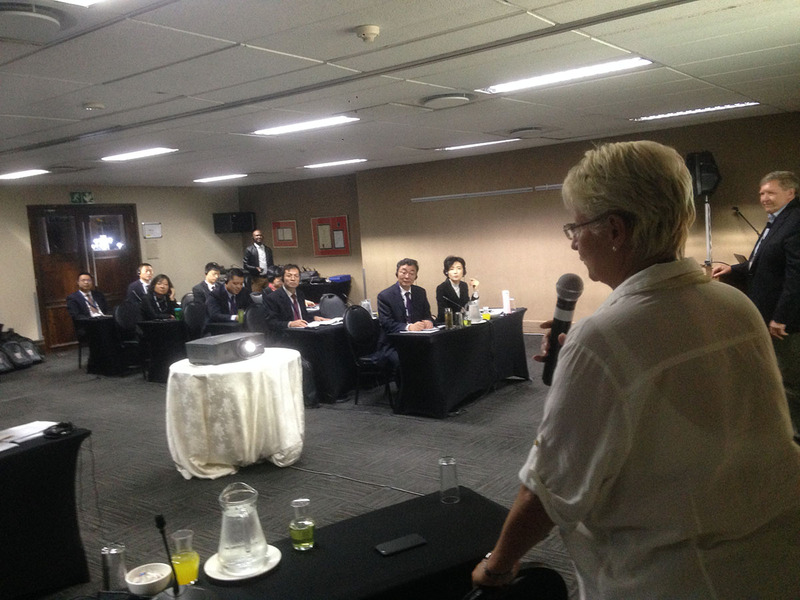 JOHANNESBURG (miningweekly.com) – South Africa’s meticulous set of mineral reporting codes has succeeded in attracting a high-ranking Chinese delegation from the Mineral Resources and Reserves Evaluation Centre of the Ministry of Land and Natural Resources (MRREC) in Beijing. 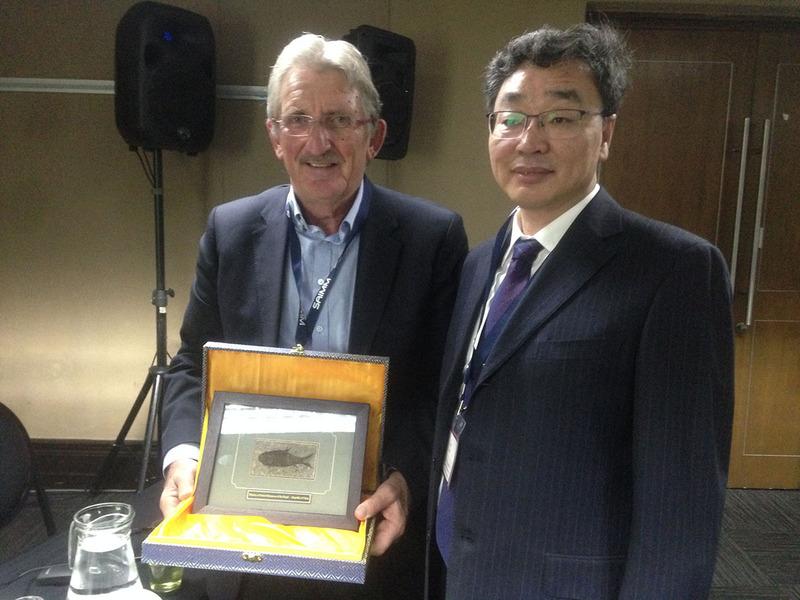 The 2018 SAMREC/IASSA Squirrel award was presented to African Rainbow Minerals (ARM) at the 33rd Annual Awards Ceremony of the Investment Analysts Society of South Africa held at the JSE in Sandton (Thursday 21 June 2018). 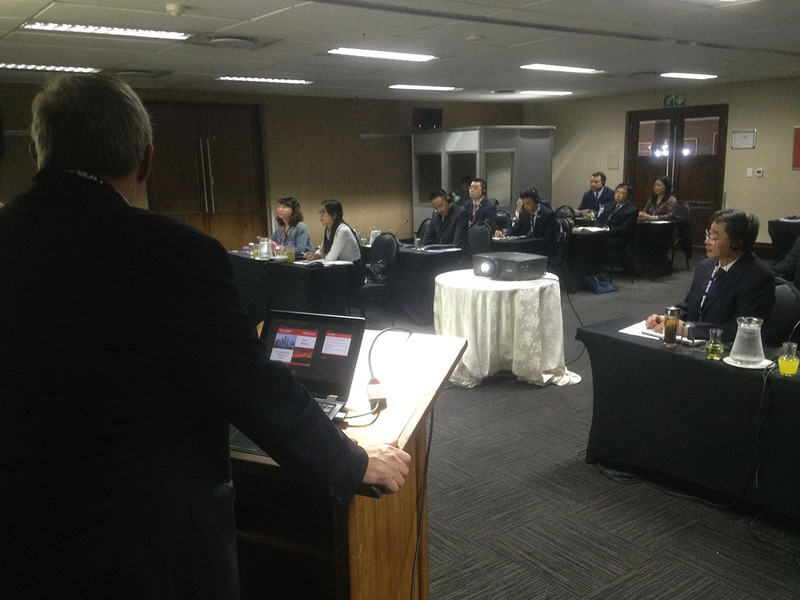 Mining professionals from around the country, with all levels of experience, took part in the 4th Annual SAMREC/SAMVAL Compliance and JSE Reporting Workshop hosted by the GSSA and the SSC at the Glenhove Conference Centre in Johannesburg from 28th-29th June. 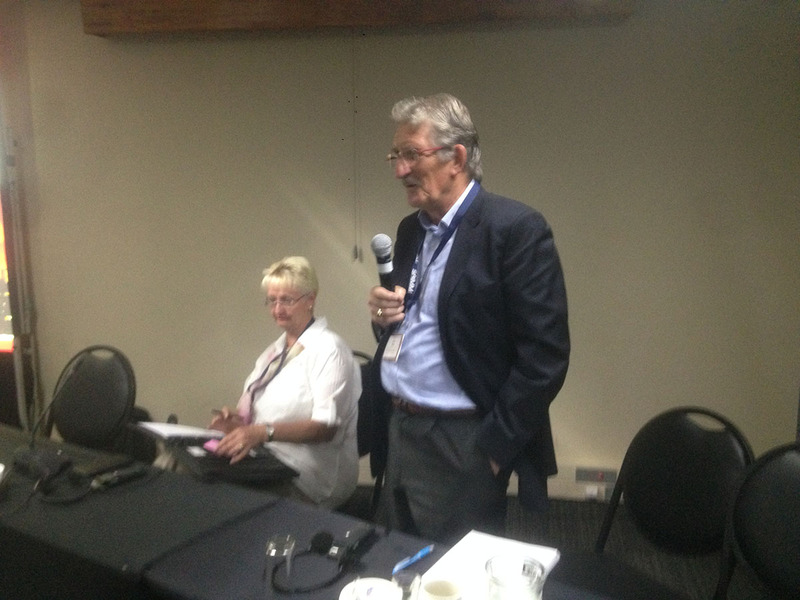 SAMCODES Standards Committee (SSC) Vice-Chairperson Tania Marshall chaired the workshop, with presentations by industry stalwarts and SSC members including SAMREC Chair Ken Lomberg and SAMVAL Chair Kelly Redman. The workshop is aimed at those interested in becoming Competent Persons (CPs) and Competent Valuators (CVs), with respect to the public reporting of solid minerals. SAMREC and SAMVAL fall under the SAMCODES; codified sets of standards and principles that are meant to guide CPs and CVs when they compile a public report, such as a Competent Person’s Report (CPR). The Codes provide for a common language that CPs and CVs can use, and that can be understood by readers of public reports. The main purpose of the Codes is to protect investors. 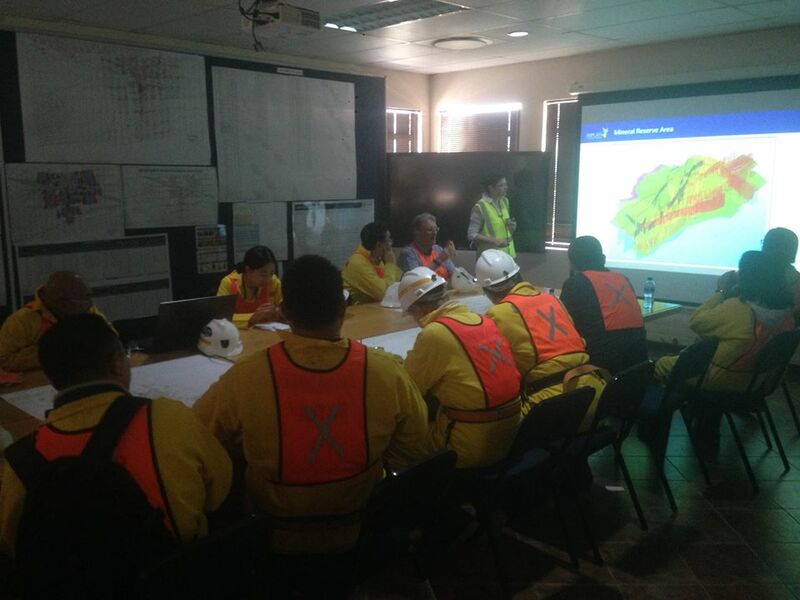 For example, a CPR is a type of risk assessment of a mining project and is required by the JSE before a mining venture can be listed on the exchange. To ensure that the report adheres to the Codes, the JSE maintains a Reader’s Panel to review all reports. Panel members are appointed by the JSE and are experts in the commodity under consideration; they remain anonymous, except to the chairperson of the panel. One important aspect to note is that a CP or CV must be an actual person rather than a corporate entity, and that this must be indicated as such on the report as it is this person who is responsible for the report and eventually signs off on it. Rob Ingram, Chair of the Solid Minerals section of the panel, claimed that in recent years there has been improvement in public reporting. Excellence in public reporting is recognised annually by the Investment Analysts Society of South Africa and the SSC with the awarding of the SAMREC/IASSA Squirrel Awards. Being a CP or CV not only requires at least 5 years actual experience in the specific commodity that the report deals with, it also requires membership to a professional body such as the GSSA or the SAIMM and registration with a statutory body like the South African Council for Natural Scientific Professions (SACNASP). The organisation accounts for over 13000 members, with Geology being by far the biggest field of practice amongst its members. Both days of the workshop concluded with panel discussions. On Thursday, Roger Dixon was invited to share his thoughts on International Developments and intimated that the SAMCODES are in a good position when compared internationally – not as hindered by government control as the Russian Codes (NAEN) and at least recognised by the country’s Financial Sector Conduct Authority, unlike with the American Codes, which are not recognised by the SEC. However, one concerning insight was the distrust of SA by the rest of the African mining community given the country’s history of xenophobia. Thus the African Union would prefer rather to develop their own Pan-African Reporting Codes than to adopt the SAMCODES. This is a situation that certainly needs to be addressed if South Africa wants to be at the forefront of capital investment in the mining industry on the continent. Nonetheless SA is aiming to assist the AU in the drafting of its Codes. Vaughn Duke was a guest on the second panel discussion on Friday, on the Governance and Effectiveness of the Codes. When asked if the Codes were deemed useful, one attendee quipped it was not clear to whom they were useful. It also appears junior mining companies have tarnished industry perceptions with their gung-ho investing. The key in the use of the Codes in good reporting practice is to prevent errors beforehand rather than to correct mistakes after the fact. Vaughn indicated that the SAMVAL Committee planned to start examining disaster cases in public reporting and investing so as to better inform the industry on how not to go wrong. Attendees were approached for their opinions on the SAMCODES and the SSC. There were compliments for the co-branding of the Codes, in that it makes all the codes recognisable and allows for easier interaction and administration. 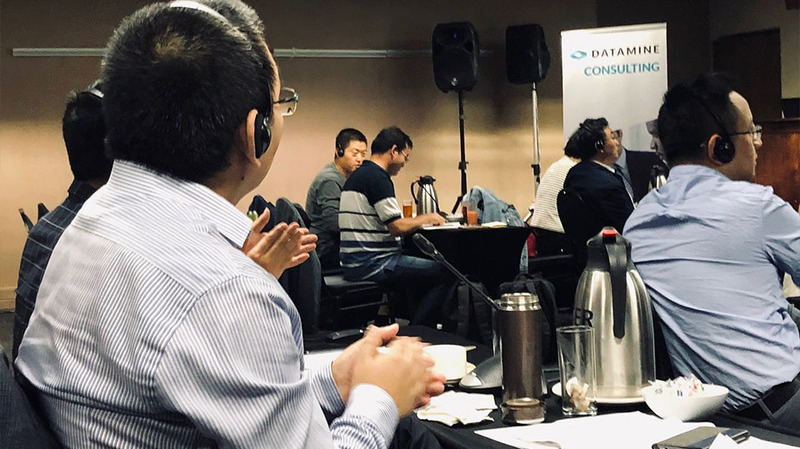 Training, such as with this workshop, was also highlighted as an invaluable means of spreading exposure to the Codes, and more would be welcome. However, reservations about the lack of diversity involved in building the codes were expressed too: “More involvement of players within the industry would be much more helpful. It’s quite a select few who are really contributing. A more diverse number of contributors might actually improve SAMREC.” There was also a suggestion that more specific reporting guidelines for other minerals could be introduced, just like SAMREC has done for Coal and for Diamonds. Yearly feedback from the SSC such as a summary of issues encountered in CPRs and ways to improve would also be appreciated. An interesting aside to the rest of the workshop was a talk given by Ryan Gibson of IFXBG, on Venture Capital and Crowdfunding in Junior Mining. Gibson touched on tapping into social media for potential investors and how the crowdfunding platform spreads risk across a larger, but probably smaller-incomed base of investors. Asset-backed cryptocurrencies (e.g. backed against gold reserves) are also now being introduced as a means of buying shares into a mining company. 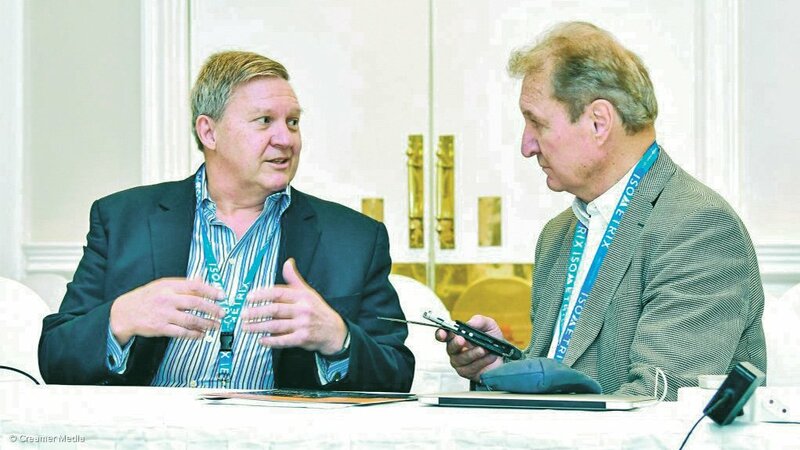 SAMCODES Chairperson Matt Mullins was recently at the Junior Indaba, speaking to Creamer Media’s Mining Weekly. Click the link to read the article. 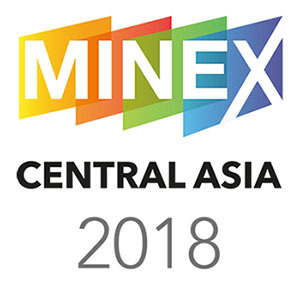 SAMCODES Standards Committee (SSC) Chair Matt Mullins is currently attending the Minex Central Asia Forum taking place in Astana, Kazakhstan. 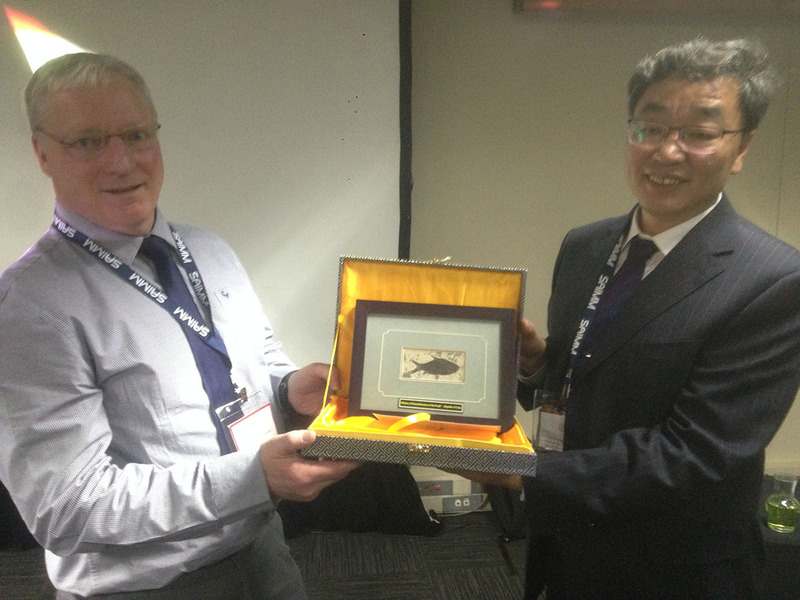 On Wednesday 18th April he delivered a presentation on Global Mineral Resource and Valuation Reporting Standards. 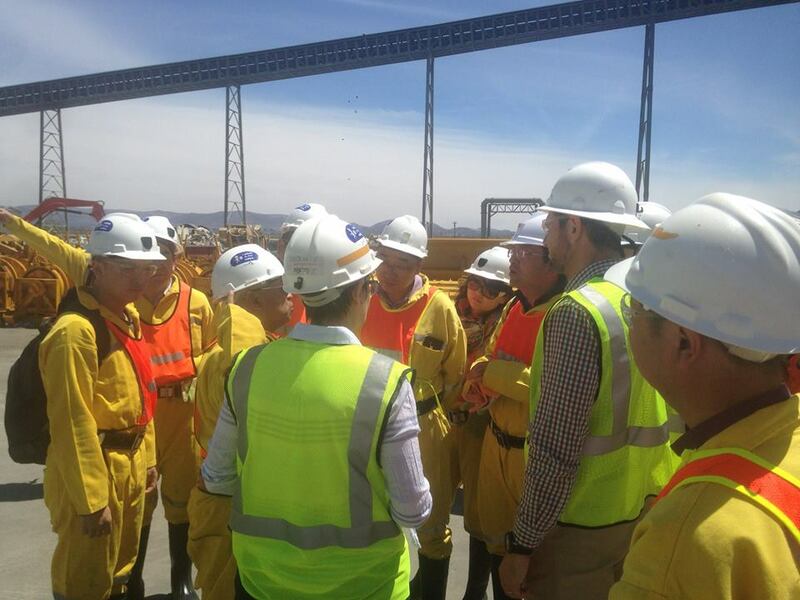 With Kazakhstan being the newest member of the Committee for Mineral Reserves International Reporting Standards (CRIRSCO), Matt discussed the Evolution, Convergence, and Effectiveness of reporting codes both in South Africa and globally. There was particular focus on the current organisation and effectiveness of the SSC. SAMCODES comprises the Minerals Reporting Code (SAMREC), the Mineral Valuation Code (SAMVAL) and the Oil and Gas Reporting Code, and these, together with the SSC relationship with the Johannesburg Securities Exchange, were critically described. 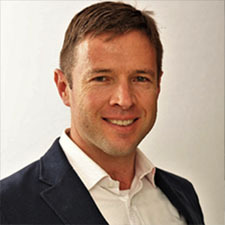 As SSC Chair, Matt oversees this broad-based industry committee, which is tasked to develop, maintain, administer, ensure compliance with and promote the South African Codes. To further strengthen the Kazakhstan reporting codes and their relationship with the South African and international versions, Matt will be meeting with key representatives from CRIRSCO, the Kazakhstan Reporting Code (KAZRC) Association, the Kazakhstan Stock Exchange (KASE), and the South African Ambassador to Kazakhstan. The meeting with the South African Ambassador to Kazakhstan, Keitumetsi Seipelo Thandeka Matthews, went extremely well. Although the weather has been particularly bad of late, I was warmly received at the SA Embassy, located at the Kaskad Business Centre in Astana – Kazakhstan’s capital. The Ambassador and her counsellor, Mr Theo Malherbe, showed a keen interest in my SAMCODES presentation and understood the need to change perceptions about SA Mining. At the same time, there is also a need to broaden SA knowledge and perceptions about Kazakhstan. The Central Asian nation is an economic force – with only 18 million people, it attracts 70% of the FDI in the region. This has lead to the formation of a national company, Kazakh Invest, which is tasked to be the sole negotiator between government and International businesses. The company already has 145 projects, totalling $45.7billion capital investment, many of which are in Minerals and Oil & Gas. Kazakhstani citizens are favoured in business dealings and there is a real thirst to learn English (an SA exchange has been mooted), which runs parallel to the desire for the country’s economic activities to attract a more global audience. It was recommended that I attend the World Mining Congress, also to take place in Astana in June, as a way to gather further momentum. I am truly grateful to the Ambassador for offering her assistance going forward. The SAMCODES Standards Committee (SSC) develops, promotes and ensures compliance with the South African Mineral and Oil & Gas Reporting Codes. These Codes comprise the SAMREC, SAMVAL and SAMOG Codes, and associated Guidelines. Governance of the Codes is effected through membership of Professional Bodies, through Statutory Registration of Earth Scientists and Engineers, and through the Johannesburg Securities Exchange (the JSE) Reader’s Panel. 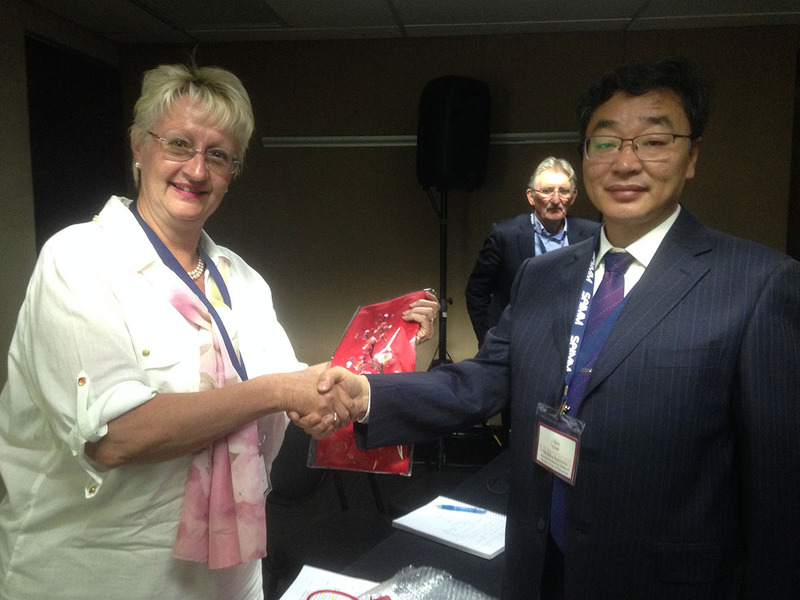 The Chairmanship of SAMCODES rotates between the two Patrons, the Southern African Institute of Mining and Metallurgy (SAIMM) and the Geological Society of South Africa (GSSA), every two years. 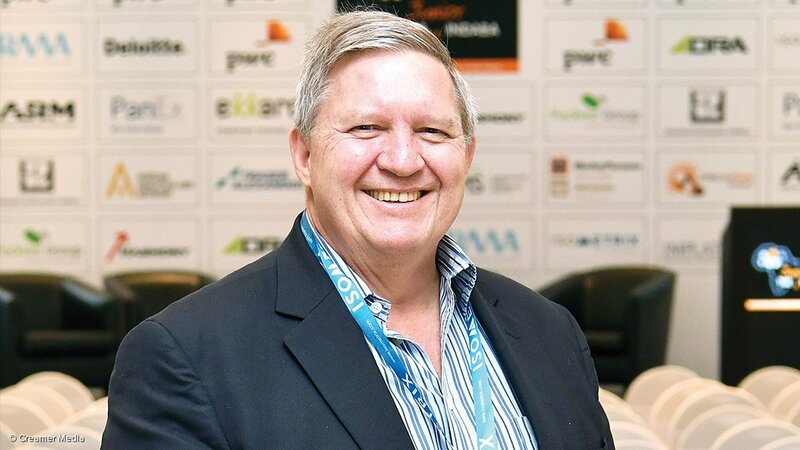 We are pleased to inform you that as from February 2018 Matt Mullins has been appointed as Chair of the SSC, as the SAIMM representative. Matt has been involved in Resource and Reserve Reporting since 1992. He was a member of the Committee which delivered the first SAMREC Code, in 2000. He subsequently Chaired both the SAMREC and the SAMVAL Codes, delivering the SAMREC Code Update in 2007, and the first SAMVAL Code in 2008. Prior to moving to Australia in 2009 he was Vice-Chair of the SSC. 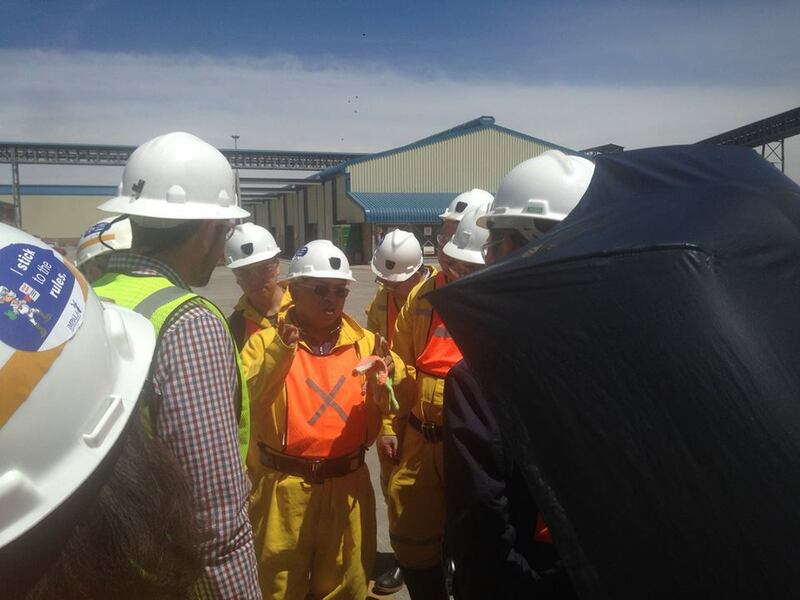 As Global Vice President for Mineral Resource development for BHP Billiton, Matt was closely involved with developments in reporting in Australia, and globally. 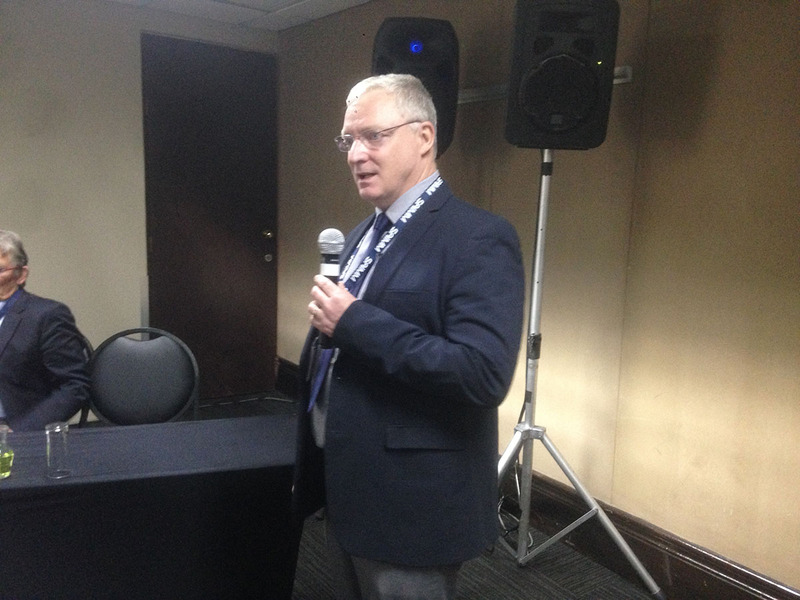 On behalf of the SAIMM and the GSSA we are happy to welcome Matt as Chair of the SSC, and we look forward to interacting with as many of the global Professional organisations as we can over the next few years. 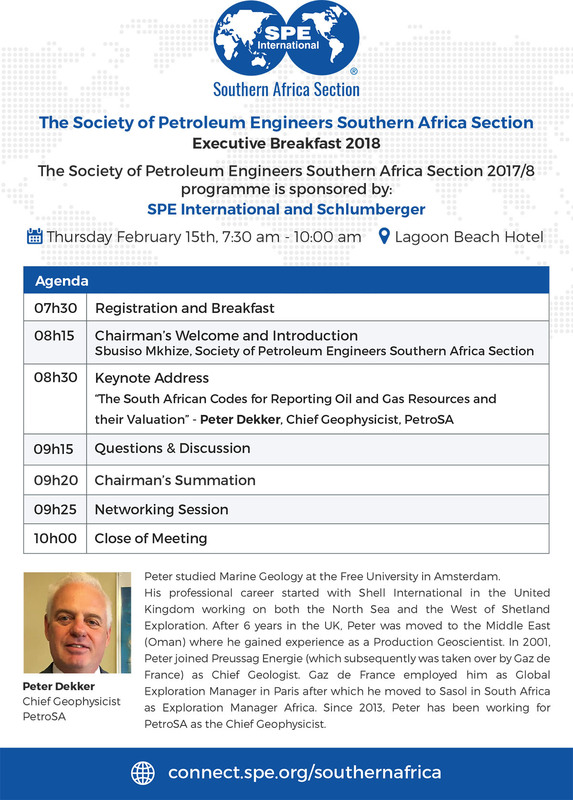 This half-day short course will introduce participants to the South African Minerals and Oil and Gas Reporting Codes and their associated Guidelines. 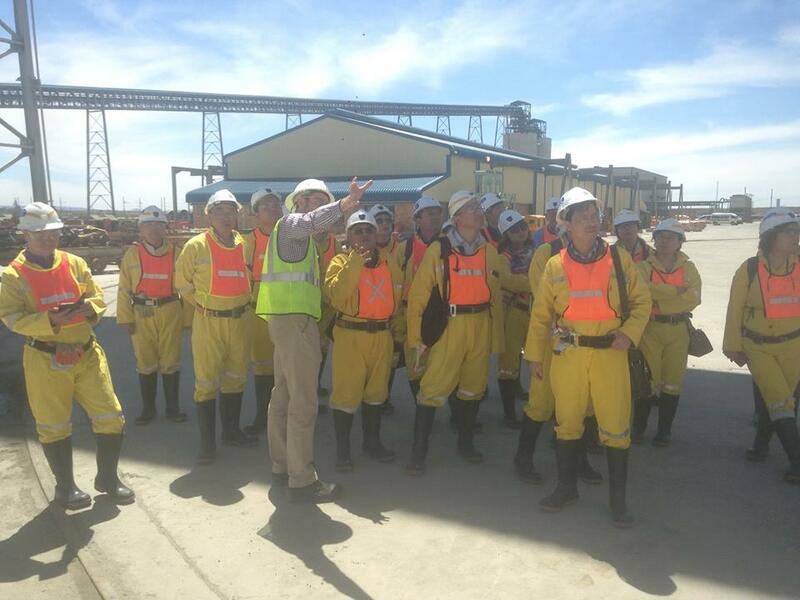 The course provides geological, mining, metallurgical and minerals management professionals with the opportunity to broaden their knowledge of the formal resource and reserve estimation and reporting landscape. The key definitions, principles and application of the SAMREC (Minerals Reporting) and SAMVAL (Mineral Asset Valuation) Codes will be described in detail. 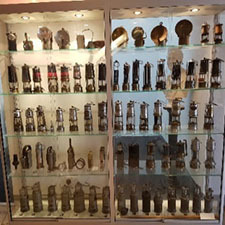 Real issues facing the practising professional will be described, and the course will be illustrated with a number of practical case studies, many of them drawn from copper studies. The key relationship between the Codes and the Johannesburg Securities Exchange (JSE) will be described in detail. The Oil & Gas Code and Diamond Guidelines will be briefly described. The course is accredited for 0.5 Continuing Professional Development (CPD) points by the Engineering Council of South Africa (ECSA).